The Magazine for Christian Girls Around the World! 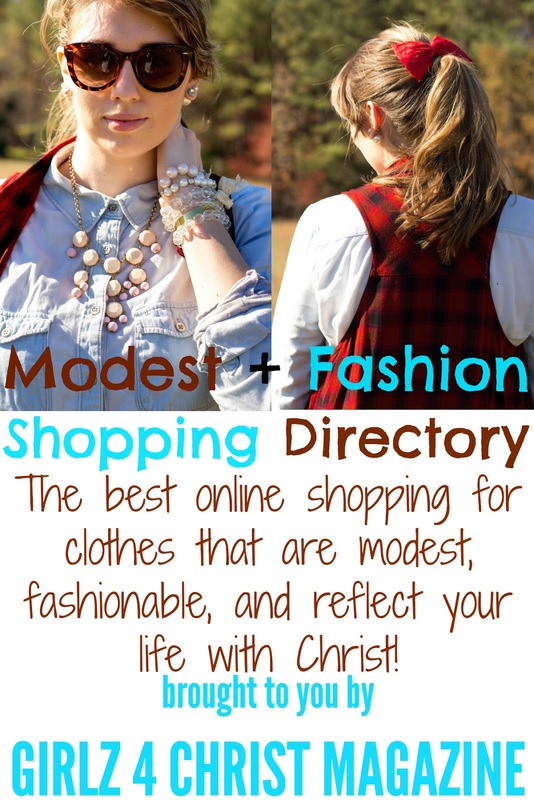 Looking for clothes that are modest, fashionable, and reflect your life with Christ? We’ve found the best modest and fashion resources on the web and gathered them all in one place. ModWraps Buy 2, get 4 free with free shipping with our coupon code, “G4C”! Mod Sportswear Multipurpose athletic skirts. Cleo Madison A variety of modest clothes for head to toe! Note: Some of the resources above contain affiliate links. We appreciate when you use these links and type “Girlz 4 Christ” into order referral boxes. Any proceeds we receive will be used to fund future issues of Girlz 4 Christ Magazine. Read the current issue of Girlz 4 Christ Magazine and more when you subscribe for free!